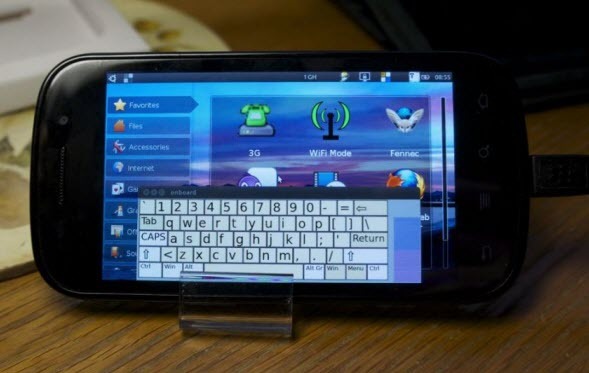 Recently, we posted that, stroughtonsmith at XDA Developers forum has successfully booted the MeeGo OS on their Nexus S smartphone from a rootfs image on the internal memory, without even flashing the phone. And now, stroughtonsmith has done it again. He recently booted the Ubuntu OS on the Nexus S using the same method and same kernel. How to install Ubuntu on Nexus S? Ubuntu is the second non-Android OS running successfully on the Nexus S, after the MeeGo OS. We are warning you once again. You should not try this, unless your are an expert. If you are new, then you should first try an easier project before you work with this. To learn more, head over to this thread at the XDA Developers forum.